Lying in the bath the other night, listening to a podcast of an interview with the very excellent Atul Gawande, I realised that I’m guilty of avoidance. Gawande's the author of 'Being Mortal'. I haven't read it yet. As soon as I get my mitts on it, I will. He talks about how modern medicine is focussed on treatment and cure. He argues that people, especially medical people, tend to avoid involving those who are dying in discussions about what they want. Not everything is fixable or curable. It struck me that Alzheimer's Disease is one of these things and that I too avoid discussions that acknowledge the reality. 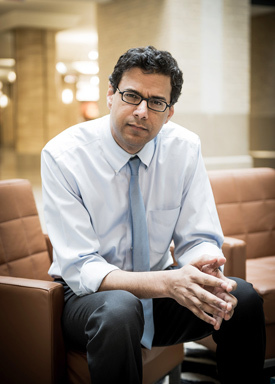 In situations where a patient’s condition is life-threatening and no longer treatable, Gawande argues that these conversations are vitally important. What goals do you have for the time remaining? This Saturday, things start off quite well. This is often the case. Mum is surprised and delighted to see me, despite the fact that it’s a Saturday and that’s invariably the day we spend time together. She’s pleased to be going out for lunch, consumes a plate of new potatoes, black pudding and sweet corn with great enthusiasm and then goes into a slow decline. As the time comes for her to return to the rest home she becomes increasingly sad and depressed. “What do you think I should do?” Mum asks me this quite often and I never know quite how to answer. “About what particular aspect?” I ask, playing for time and casting round desperately for distractions. So rather tentatively, I ask Gawande’s first question. The answer comes with surprising speed. “I have short term memory problems… I suppose it’s a kind of dementia. That’s a horrible word.” Then she looks at me expectantly. Clearly in that moment at least, Mum has no problem with insight. “So.. how does that affect things?” I ask. I agree and she talks for a while about the problems of rest home life - the boredom and the aimlessness. The sudden and ongoing lack of independence and autonomy. For the second time, the question seems so perfect that the answer is there almost before I’ve finished asking. We spend the next half hour talking about that. About Mum’s childhood when her aged grandmother lived with her family and the tension that caused. About being a burden. And her fear that her family are seeing her out of duty rather than because they genuinely want to. Mum says that all her life she’s been the one who helped others and now… this. Being the one who has to be helped. The old person who has no valuable role. Raising some important questions then listening to Mum’s response? It didn't seem much to ask. And of all the things my mother is facing, I had no clue that being a burden was her biggest fear.